Over the years Casper Electric has been involved in many important local and state projects. We have the capacity to undertake large-scale public and private building projects. We have engineers and master electricians, on staff. Our team of journeymen and apprentice electricians give us the manpower we need for large, industrial-scale jobs. We have also completed a number of projects for the Wyoming Department of Transportation. Our work on the new Wyoming Medical Center West Tower is currently underway. Last year we completed the new Casper College / University of Wyoming Student Union, a 96,000 square-foot, four-story classroom building with commons, dining, kitchen, book store, convenience store and offices. Other school projects include Cottonwood Elementary School, St. Anthony‚Äôs Tri-Parish, and CY Middle School. Work is currently underway on the new Natrona Country High School addition and renovation and the new Kelly Walsh High School. Casper Electric completed the Rock River Wind Turbine for the Albany County School District in 2012. We also installed communications towers, solar service points, and variable speed limit signs on Interstate 80 between Green River and Rock Springs, completing the job 3 months early. In 2014, we completed the statewide Dynamic Message Signs (DMS) project for WYDOT, which required minor grading, guardrails, drilled shafts, structural steel, communications towers, and dynamic message signs at 19 locations on I-90 near Sheridan, Buffalo, Gillette, Sundance, and on I-25 near Orin Junction. We completed that $5.6 million project more than 5 months early. 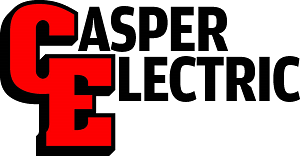 Casper Electric has earned its reputation as a top-tier civil-electrical contractor in Wyoming. Contact us today about your project.